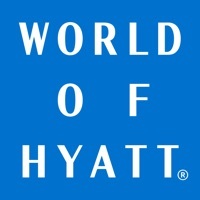 The World of Hyatt app simplifies travel with planning and booking tools on the go: Book with ease • Book rooms at 800+ hotels and resorts • Log in to World of Hyatt for member benefits, member rates, and to redeem free nights • Save your favorite Hyatt hotels for quick booking Manage your stay • Check in before you arrive, check out on the go • View room charges during your stay • Add your reservation and account details to Apple Wallet Enhance your stay • Request items to your room, such as towels or toothpaste – supported at over 300 hotels. • Use Google Chromecast to stream content to your in-room television (available at select hotels). 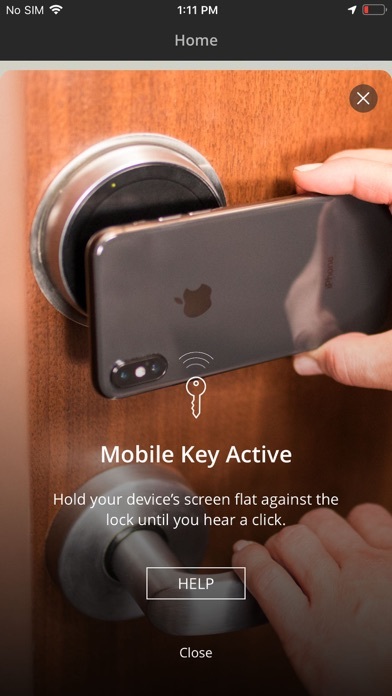 • Use Hyatt Mobile Entry to bypass the front desk at check-in and use your phone as your room key. • Request an Uber ride to your Hyatt hotel. 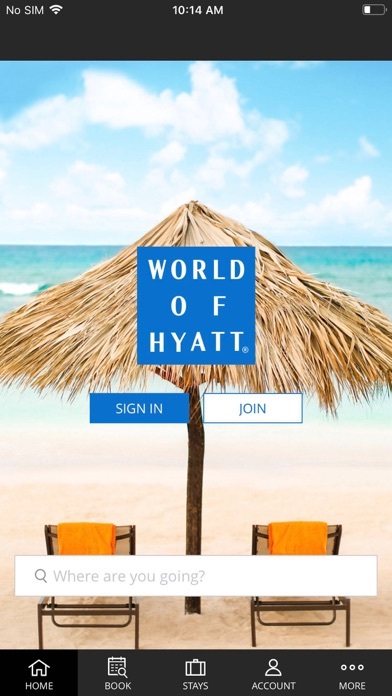 • Connect with Hyatt using Facebook Messenger or Twitter from the app. Please note availability of app features may vary by hotel. Continued use of GPS running in the background can dramatically decrease battery life. 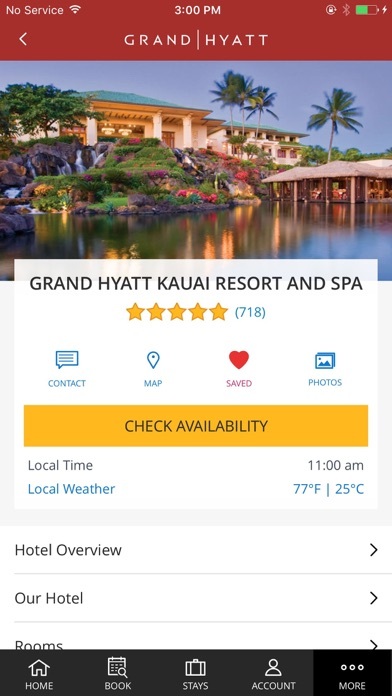 Using the Hyatt app, you can take advantage of Hyatt’s Best Rate Guarantee. With no booking fees, you can book a stay at any Hyatt hotel or resort including Park Hyatt, Andaz, Grand Hyatt, Hyatt, Hyatt Regency, Hyatt Centric, Hyatt Place, Hyatt House, Hyatt Ziva and Hyatt Zilara properties, and get the best published rate available anywhere online. You should be aware that there is a major flaw in the check-in system. I checked in on the app, my card was authorized for the total hotel stay plus incidentals, however, the reception desk’s system will still prompt them to authorize your card resulting in a double authorization of the total hotel charge plus incidental. Hotel front desk staff haven’t been trained on the app. Neither Member Services nor the property knew what to do. This is what happens when IT engineers work in silos and don’t engage with end-users on requirements. Very disappointed. I’ve done everything but my account upcoming reservation is now showing up on neither web computer account nor app account. Thinking I didn’t make reservation I double booked, so had to call Hyatt to verify and correct. They don’t know why this is happening, don’t know if this is just me or if others have same issue. Wonder if anyone was charged for room for no show thinking they cancelled reservation but double booked so only one was cancelled; or showed up at hotel and found out they have double bookings. Don’t like that I have to remove my iPad from my keyboard to use this app. Very inconvenient. It never recognized my 3 night stay. I went to the front desk 3 times and they said everything in the system was correct so it should show my stay but it never did. The last time they recommended I call the app customer support. Yeah, right. Worthless. I loved this app and used it daily until a few months ago. Now it crashes as soon as it is launched on my iPhone 7. I have deleted it and added it back without success. I just can’t use it anymore. So sad. Quits as soon as you try to open it. Needs a bug fix, otherwise it’s a waste of space. Beware! Checking into your hotel reservation via the app will wipe out any special requests you previously made for the reservation, such as a feather-free room. Doesn’t support your iPad being length-wise - want to use your keyboard? Too bad. App itself is average at best. High end hotel? Get your tech together. This is bush league. Except bush league these days is better than this. Anyone rating the iPad version 5 stars has literally used 0 other iPad travel apps and has a potato for a brain. More likely they work for Hyatt’s marketing team. It’s seriously pathetic that years into this game your iPad app still can’t handle someone having their iPad sideways. Marriott/SPG 10x easier to use. You should fire your entire mobile team if they don’t have a real iPad app together in 3 months. iPhone 8 iOS 11.4.1, opens then shortly closes thereafter, not even useable. 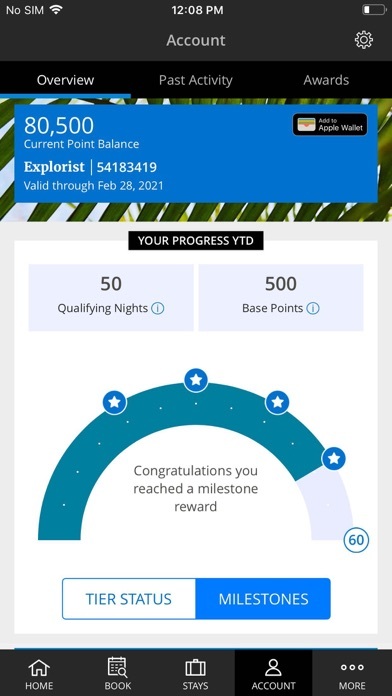 I’ve been using the app for quite some time and I find it really simple and easy to use, but one thing that I’ve found quite annoying as of late, especially being a Chase Hyatt card holder, is the lack of detail around points issued under the Past Activity section of the app. Other apps and services will usually give something along the lines of (Credit Card Statement, Hotel Stay, Bonus Promotion etc). Anything that will tell you where the points are coming from. But all this app shows is Reward Bonus. Aside from that the app is great! The app seems fine but Face ID only works if you don’t sign out and close the app. It should work every time you sign out regardless of whether you close the app down or not. That’s programming 101. Please fix it. Trying to create and open app for about a week now but it’s saying having problem with system try again later. App is easy to navigate, but I initially made a reservation outside the app. The first time I used the app, I entered my confirmation number and could see my info. However, any time I navigate to Home and then try to go back to my stays, I have to enter the confirmation again! I would expect it to retain my reservation even after LEAVING the app, let alone within the app itself! As others have noted, app crashes (every time) you attempt to input a location. Agree with other comments that it crashes every time you try to enter a location - just since the last “update”. Please fix; I use the app all the time. App bombs after touching field to enter location. Hasn’t been fixed in multiple updates. Poorly programmed. It will crash on you when you attempt to search for a hotel! Still recurred after I restarted the app. Is there an ongoing issue with loading reservations. Stopped working a couple days ago for me. Uninstalled and reinstalled too. It's an unstable release. As soon as I try to choose a location when booking, the app goes black and crashes. Previously was working fine. Don't fix what isn't broken unless you're sure what you're doing is an improvement! Just installed the 8/30/18 app update and it crashes within a minute of opening if I click on the ‘Book’ tab. It’s done this every time I open it. This app was good before, now trying to reserve since last week and the thing just spins doing nothing. Love this app because I can navigate to find a room easily and it will allow you to book a room really quick. However the app can be VERY slow sometime and if I leave the app and come back to it after 5 mins, everything is gone and I have to start over. I wish I could give a real review of this app, but every time I tried to log in using my credentials, it told me nothing matches. This is after confirming my membership number several times, and resetting my password 4 times. Waste of time. My name is Maria Rosales and I made my reservation on June 15, 2018 . My arrival date June 21-23, 2018. It was for my Daughter’s bday, and it has been awhile since we left our comfort zone due to an auto accident that required cervical surgery January of this year not to mention things in life that has been overwhelming. Three days prior our arrival I have been in contact with Hyatt, and Vine Restaurant regarding also dinner reservation; confirmation of times and dates. Everything was good to go. June 21 @ 8:09 pm I called Hyatt Valencia that we were on our way and all that was said is that midnight was the cut off if we were not there midnight or a little pass it would be considered a “no show”. We arrived Hyatt at 11:50 pm, and front desk I am unable to recall the correct spelling of her name she was African American and her first initial of her name was T; she said there was no reservation, but offered a night and the next day she will put us in another room. My reservation was 2 queens with a terrace. After 59 minutes of in shock, tired of 8 hours of driving, she decides to tell me that she didn’t see my reservation because it was blocked! What I am confused about is that 1) if my reservation was blocked why couldn’t she honor the room I reserved with terrace 2) why was it that she still gave me a room on the 6th floor ( n said it was with a terrace) without a terrace? She then gives us a room on the 4th floor a junior suite. This is now about 230-3 am. 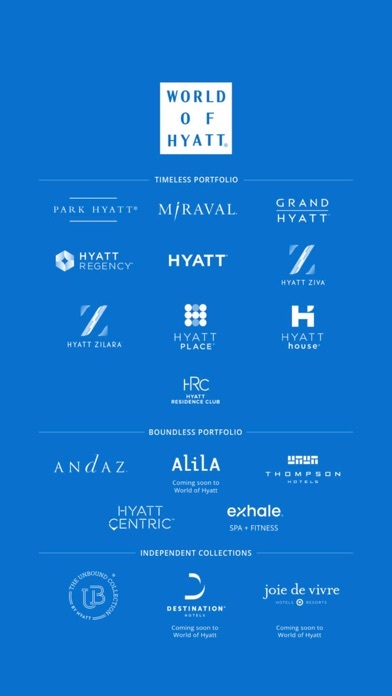 I had other choices of hotels but I grew up believing in The Hyatt hotels, it’s why I reserved my room with them. Next day, still bothered and exhausted I was able to speak with front desk and this time FITZ who I spoke to and told him the horrible service from the night before. An angel sent from heaven. He did what I know WHO AND WHAT HYATT I know, even sent champagne and strawberries at our reservation in the hotels restaurant the Vine. Then another angel name Zach. That evening was the only night I was able to relax and forever grateful. More ANGELS at the restaurant Terrie, Teress, and our server was absolute excellent service. To HYATT VALENCIA FITZ, & ZACH you both are excellent! To Vine Restaurant Terrie, Teress, and our server thank you so much! I would definitely come, and stay just to visit you guys.... THANK YOU! I have literally spent the past two hours trying to log on through the app. I even called a representative and have them send me a password reset. I never received anything from Hyatt. This app stinks. Makes me never want to stay at their hotels. Seriously guys get your IT department together and fix this thing!!!! Got on app to see when my points expired. It says welcome and my name, so I am logged in but can’t load any of my account info. Please refer to spg app and see how much easier it is to search and make a reservation. Before , the hyatt app remembers my address , so I didn’t have to type my address every time I made a reservation. Now I have to type address every time , it is so bad for frequent traveler . The city list from the search history is gone, and the ‘Recent’ tab is so bad that there is no place to modify dates. The app is worthless if you book through a booking agent instead of Hyatt. • I have several hotel apps on my phone & all of them of multiple pictures of each of their locations... pictures of the building, lobby, rooms, etc., but not on this app. I think that would be a helpful to your clients!! • When I do a search on hotels & I tap on one of the hotel & then tap the back button, it brings me back to the top of the list. To me it would make more sense if I was brought back to the same spot that I had just been at. I’m a Loyal Hyatt Member. Something has changed in the app recently, and for some reason it won’t allow me to see my past hotel bills. This is an much needed function for frequent business travelers. It needs attention to fix this functionality. App never worked. Said it could not retrieve my information. Tried 5 times to upload and each time it didn’t work. It is so easy to find the perfect Hyatt hotel, and book a reservation! The magic doesn’t stop after the booking! I checked in through the app, got my room key through the app, made restaurant reservations and ordered my Uber all through the app! When my vacation was over - I checked out- through the app! Looking forward to my next trip!! I love Hyatt. Love the app where is the iPad version? Hyatt please release an update that supports iPad. Would be nice not to use a small screen when browsing hotels. Wow why do you reverse the iPhone X support? Love everything about the app! 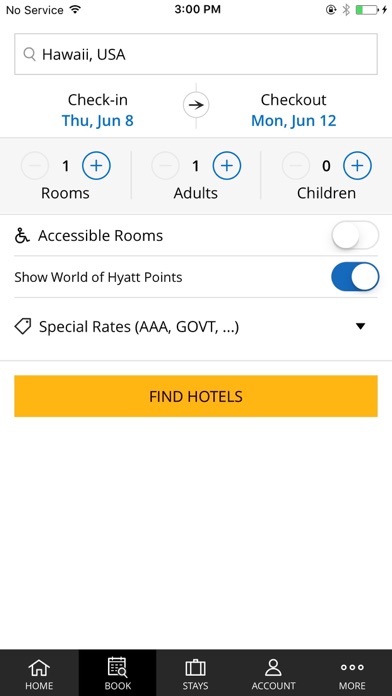 The app is great for navigating different hotels and options available. However, I have made several updates to the reservations (change from 1 king to 2 doubles and cancel 1 out of 2 rooms), but the information on the website/mobile app does not include the updates. Additionally, there are no email confirmations of the changes so it is difficult to have peace of mind that I will have the correct room and won't get charged for an additional room when I check-in. I did call to confirm the changes and they assured me it's in their system, but it would be nice to have updated information on their website and mobile app. The app icon looks really bad it deters people from downloading. It doesn’t matter if I pull up this app on a weekend, during the middle of the business day or any other time... it cannot find my reservation or let me look at hotel information. It’s simply awful. 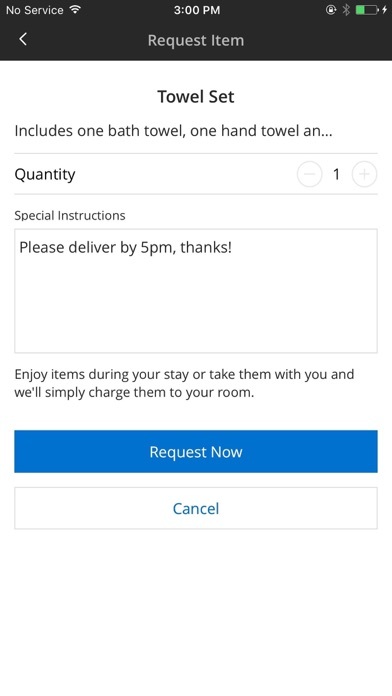 Hilton has a much better UX on its app. Wow, really the app icon looks so bad I thought it was a fake and didn’t download it when search. Come on guys. Really enjoying the Hyatt app. Booking is super easy, and I like the features I can use during my stay. The most basic thing, “Find Hotels” doesn’t work. It hangs forever. No way to book a hotel with this crappy app.